A graphic novel with a heartwarming heroine. This sassy chick – sorry, mouse – is perfect for fans of Ramona, Junie B Jones or Big Nate. Listen up, cartoon fans! There’s a new mouse on the block. And her name definitely isn’t Mickey! 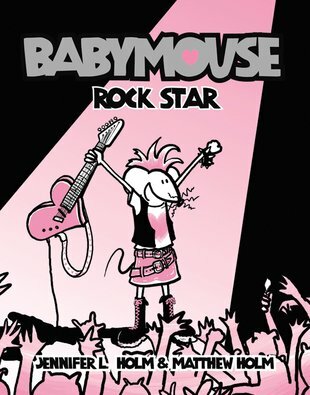 Babymouse is cuter, feistier and she has a punk rock hairdo. But in one respect, she is just like Mickey. This is a mouse who wants to take the world by storm! Smart, witty writing, funny cartoon strips and an awesome heroine. We think Babymouse is a cracker!